Home computer internet Tricks How do you play a Spinner game on Google search engine! How do you play a Spinner game on Google search engine! Do you feel stressed ? 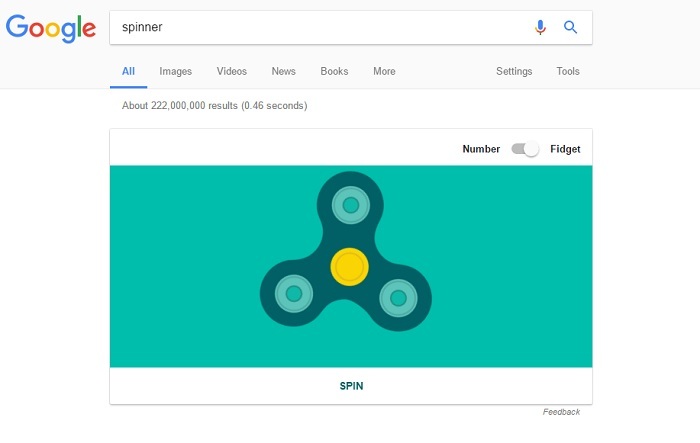 Try the spinner fidget simulator by typing "spinner" on Google Search. And if you are really uncomfortable with everyday objects, then? Well in this case, Google has a digital fidget spinner for you. Lack of luck, it is reserved for US users. If you want to relax by running this tool as digital as digital, simply open a private browser window, go to Settings and Search Settings. Then, in Language, check English and French in the search results as well. Finally type spinner in the search bar and ... the trick is played.